Eoghan Ó Ceannabháin is a Dublin based sean-nós singer and multi-instrumentalist. He comes from a musical family. 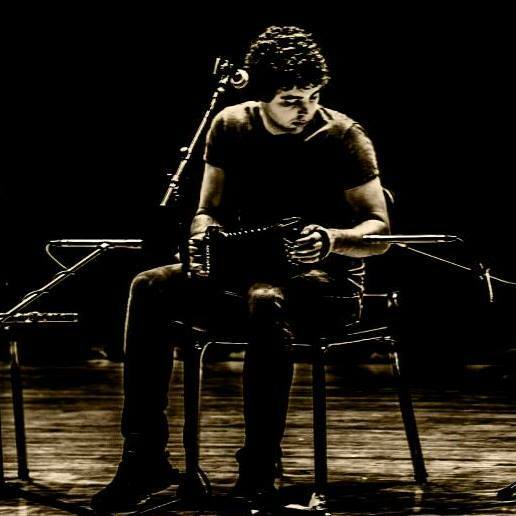 His father, Peadar, is a well known sean-nós singer, his mother, Úna Lawlor, a classical violinist, and his two sisters Saileog and Muireann are both accomplished singers and musicians. Eoghan has been playing music from an early age. His influences include Colm Ó Caoidheáin, Sorcha Ní Ghuairim, Johnny & Kevin Henry, Mick O'Brien, and many others. He is a founding member of the band Skipper's Alley, with whom he has toured in France, Germany, the UK, India and Zambia. He is also part of the Aon Teanga:Un Chengey project, which explores the musical and linguistic ties between the Gaelic languages of Ireland, Scotland and the Isle of Man. 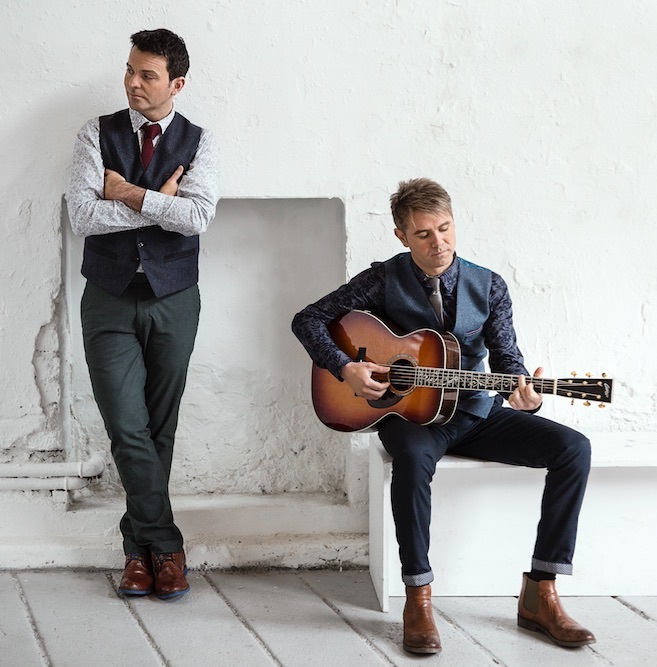 What began as Celtic Thunder's Neil Byrne and Ryan Kelly performing a series of shows together called 'Acoustic By Candlelight' back in 2012 has turned into what is now known as Byrne and Kelly. Driven by dynamic vocal harmonies, the duo seamlessly dives into combining genres like traditional Irish and Americana to create a fresh, Celtic folk sound. Byrne and Kelly's latest release, Echoes, is a collection of nine original tracks and the well known Irish classic 'Step It Out Mary'. During a remote weekend writing retreat in County Cavan, Ireland with fellow musicians Nicole Hudson and Peter Sheridan, the seed for the Echoes album was planted. Just over a year later, the result is a 10 track album featuring songs that highlight their rich, Irish culture and experiences traveling the world playing music. Echoes received immediate chart success following its release in February of 2016 and hit the #1 spot on the iTunes World Music chart, Billboard Top 5 World Album, #1 Amazon Traditional Folk and #1 Amazon Traditional British & Folk charts, Amazon Top 100 Album, and Google Play Top World Album. For Orla Harrington, music and dance are inseparable, bringing all the richness of the tradition to her playing. At the age of 3 she begins dancing and at 6 years she plays her first notes on the violin. From sessions to competition, she develops a musical maturity which had brought her to become an ambassador of Irish "trad", characteristic of Co. Clare. She records two CDs, "Melting snow" in 2008 with Quentin Cooper and Eoin O'Neill and "Flagstone memories" in 2011 with Andrew Mac Namara and Jim Higgins, second album which leads to a promotional tour of the United States in 2012. Orla Harrington is bringing this musical heritage alive in Paris, France, since 2013, where she teaches Irish Dancing as TCRG and ADCRG at her own school and contributes to the living tradition of Irish music in regular sessions. Elva hails from Youghal, Co. Cork and from her early beginnings studying piano, guitar and voice, she went on to study music in UCC and continued her studies in UL in music education. She studied voice under the renowned tenor Robert Craig in The Cork School of Music and also studied in the DIT Conservatory of Music. Elva moved to Dublin where she now resides and is endeavouring to carve out a career in singing. Although she has a background in classical training, she also fell in love with the folk, traditional, jazz and blues scene in Dublin and has been busy collaborating with her current stellar ensemble of guitar (Drazen Derek), violin (Sarah Lynch), trumpet (Bill Blackmore) and double bass (Dave Fleming). She has since blended her knowledge of vocal performance with her love of old timey songs and traditional acoustic accompaniments. Elva’s recent collaboration with Fiddler of Dooney champion Donall Donnelly on his second album ‘Tremolo’ has been aired frequently on RTE Radio and BBC Ulster Radio. The acclaimed contemporary traditional album contains one song in which Elva combines her knowledge of classical technique with her love of traditional folk music. This is the essence of her style and she continues to interpret old and unique folk songs from Ireland and beyond in a faithful yet personal and emotive manner. 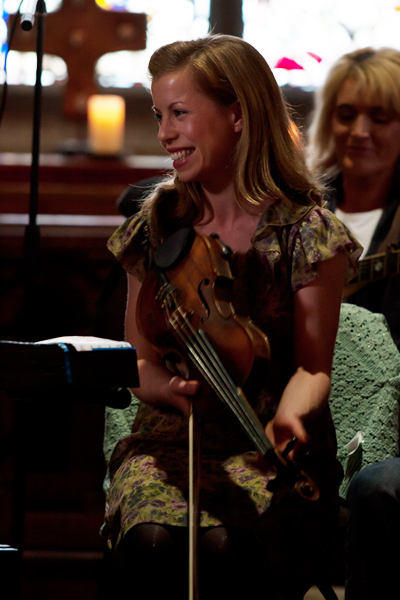 Elva has been accompanied by highly regarded musicians in the traditional, classical and jazz music scene such as guitarists Sean Whelan and Donncha Moynihan, Flute players Brian Dunning and Karl Nesbitt, Donall Donnelly’s contemporary traditional band ‘Tremolo’,and has also shared the stage with the well-loved balladeer Niamh Parsons. Elva’s repertoire is both fresh and original drawn from a love of diverse musical traditions which have enchanted discerning audiences since the beginning of her singing career.